One of baby girl’s first phrases was “cup of tea?” So being asked to share our thoughts on the Mr Kipling Tea Set was perfect! I’m a huge fan of Mr Kipling’s cakes, French Fancies being my favourite although Cherry Bakewells come a close second. Mmmm shame I don’t have any in the kitchen cupboard at the moment! Everyone adores Mr Kipling’s cakes! 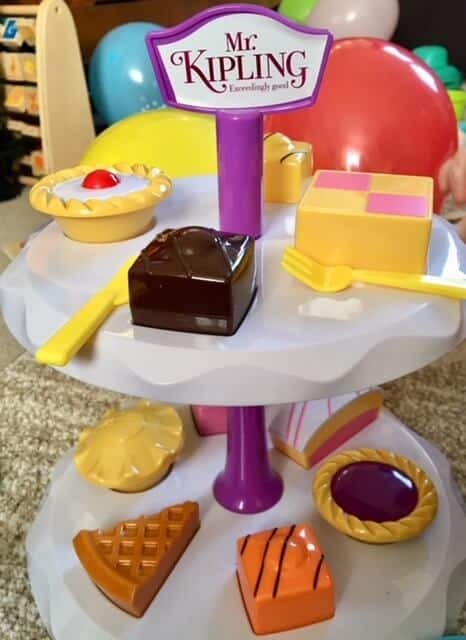 Featuring replicas of the much-loved cakes including French Fancies, Battenberg and Cherry Bakewells for arranging on the two-tiered cake stand. 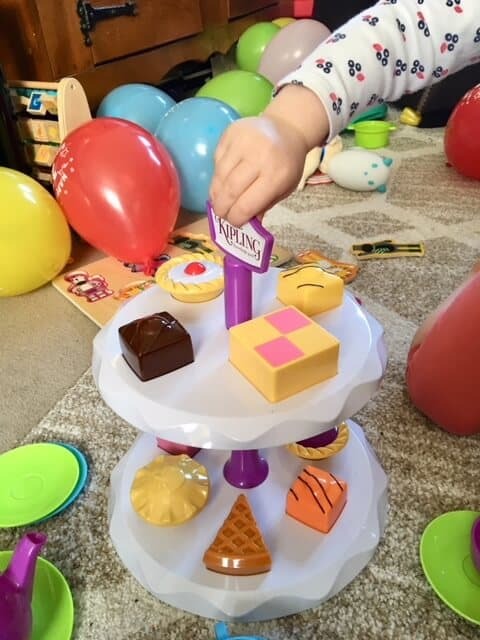 Each cake features a shaped bottom for children to locate the correct corresponding shape on the easily assembled cake stand – so not only is it a fantastic role play toy, it has shape-sorting fun too! We had great fun unpacking the box. 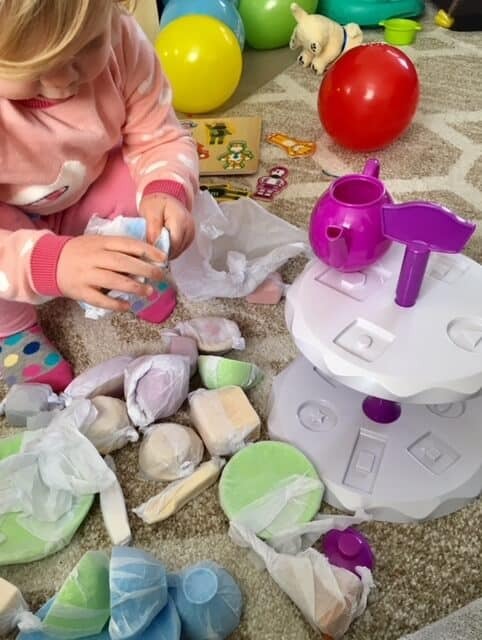 Each individual plastic cake, teapot, cup and saucer were wrapped up to avoid any damage. An instruction leaflet was included on how to put the cake stand together. Selection of Mr Kipling’s exceedingly good cakes – French Fancies, Cherry Bakewell, Apple pie, Battenberg Cake, Angel Slice, Jam Tart and a slice of Treacle Tart. Mr Kipling stickers for the cake stand. 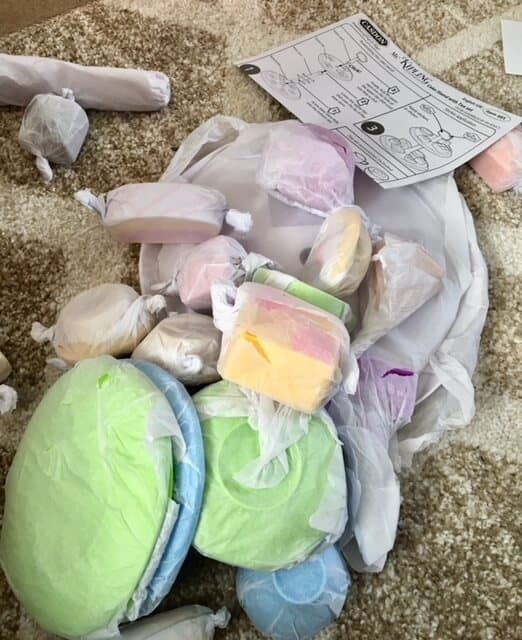 As you can see it was intriguing to see baby girl unwrapping each piece carefully. Everytime she opened a piece of cake she said “amazing”. She quickly learnt where each cake was meant to be on the cake stand. 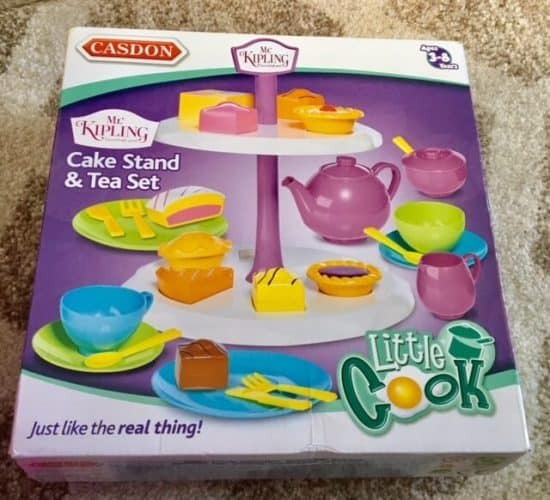 I love the idea behind the Mr Kipling Cake Stand and Tea Set from Casdon. It encourages lots of hand eye coordination where they have to put each cake on the stand in the correct slot. 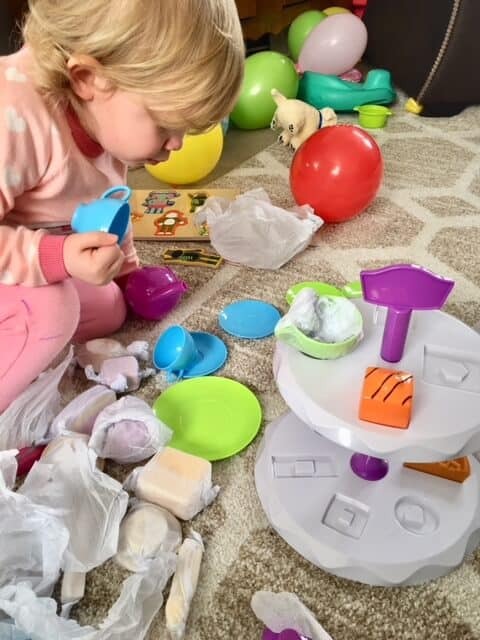 Plus all shape sorting toys are great fun! You get lots of role play interaction with the tea set part. We are having numerous tea parties with all baby girl’s toys and she loves to get up and make us all a cup of tea after dinner time. The cake pieces are well made and are so alike the real thing. 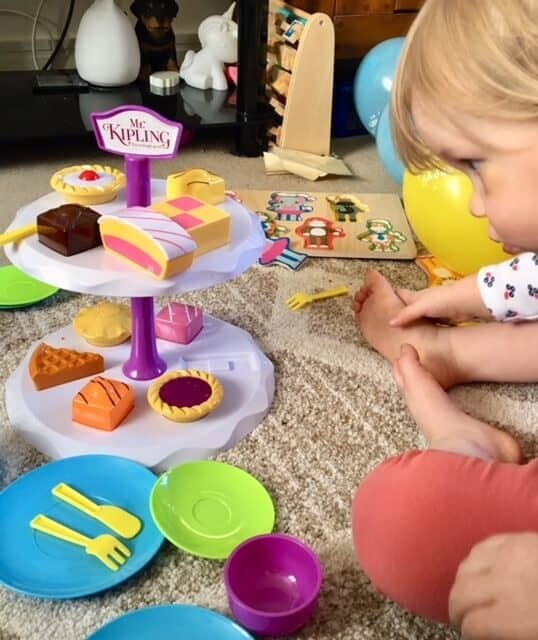 The Mr Kipling Tea Set is the perfect toy for introducing shapes and helping to encourage problem-solving and motor skills. The Mr Kipling Tea Set is available from most good toy retailers RRP £11.99 Suitable for ages 3-8 years. If you enjoyed this post, you may like our review on the Luna Petunia Doll. 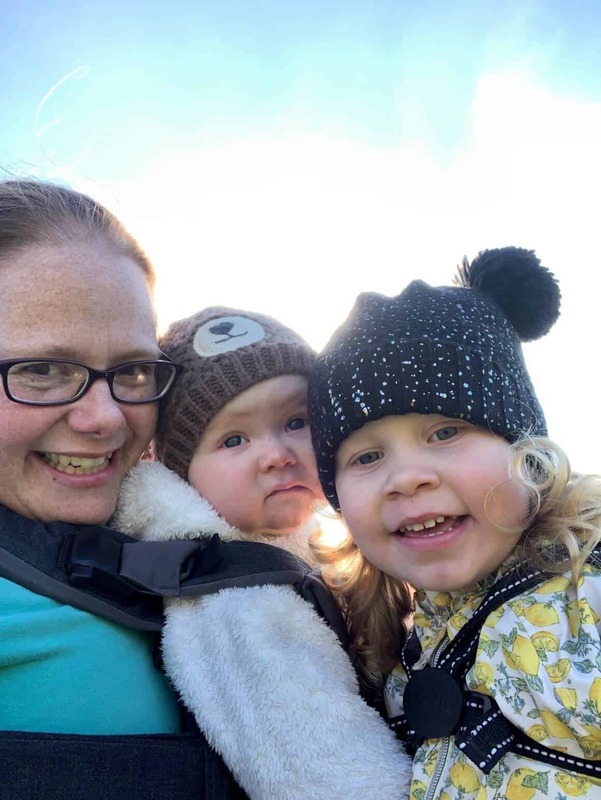 *We were sent the Mr Kipling Tea Set in exchange for this post. All thoughts and opinions are my own. This looks great – would have loved this when I was a kid! 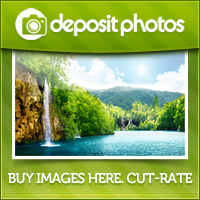 Its delightful – i could just eat that slice of battenburg!